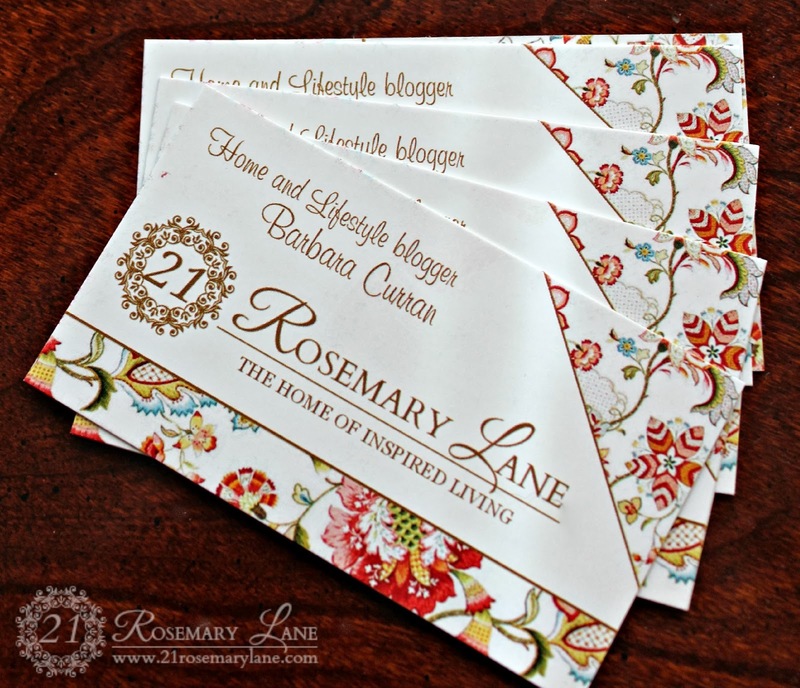 21 Rosemary Lane: New Business Cards and a Sneak Peek at the Bedroom Makeover! 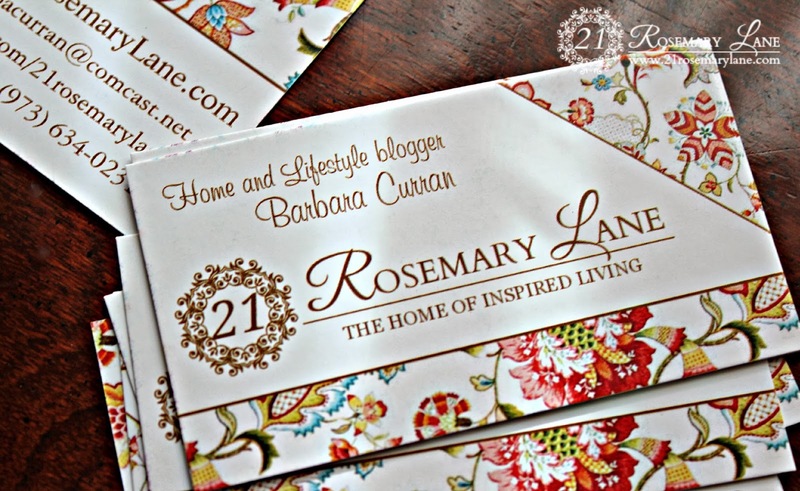 New Business Cards and a Sneak Peek at the Bedroom Makeover! 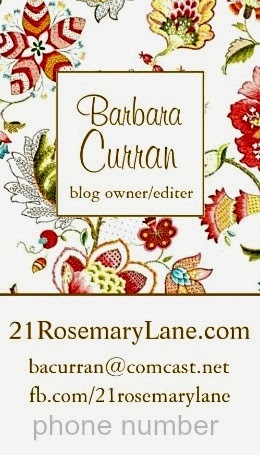 My new business cards arrived today from Zazzle! These are actually the second set I ordered. The first set came with part of my info cut off and that was totally my fault. I created the card and then decided to round the edges and when I did that I inadvertently lopped off some of the letters. But even though it was my fault, Zazzle reimbursed me with brand a new order at no extra charge to me...I didn't even have to return the old cards. The card stock is a nice weight too. These cost 20.95 for each pack of 100 cards. Not bad right? And do you recognize the flower design? A full 8 X 10 plushy plushy walking on a cloud plush carpet! I did do a little room rearranging too. If you notice the bed is no longer in front of the windows. 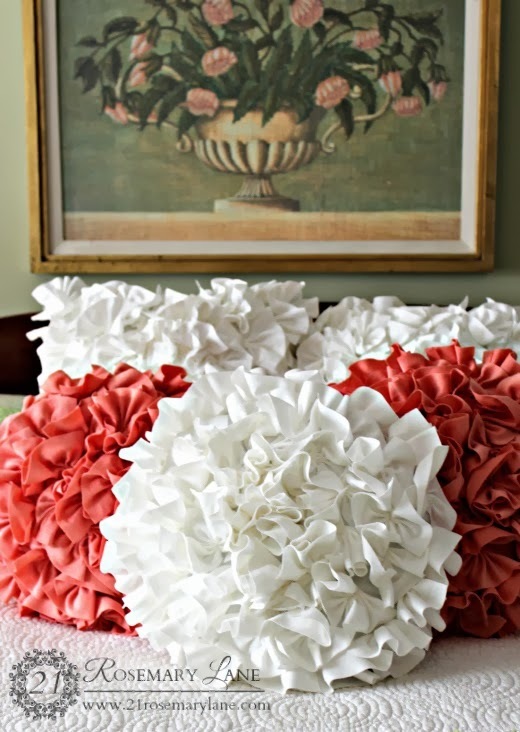 These pretty pillows were also a Home Goods find. The picture is one I already had and decided to hang it above the headboard of the bed. I thought the colors of the picture were a perfect accent for my space. I know the inspiration room had a horse picture, but not to worry, I do have something equestrian in my room design. But you will have to wait for the reveal to see it! 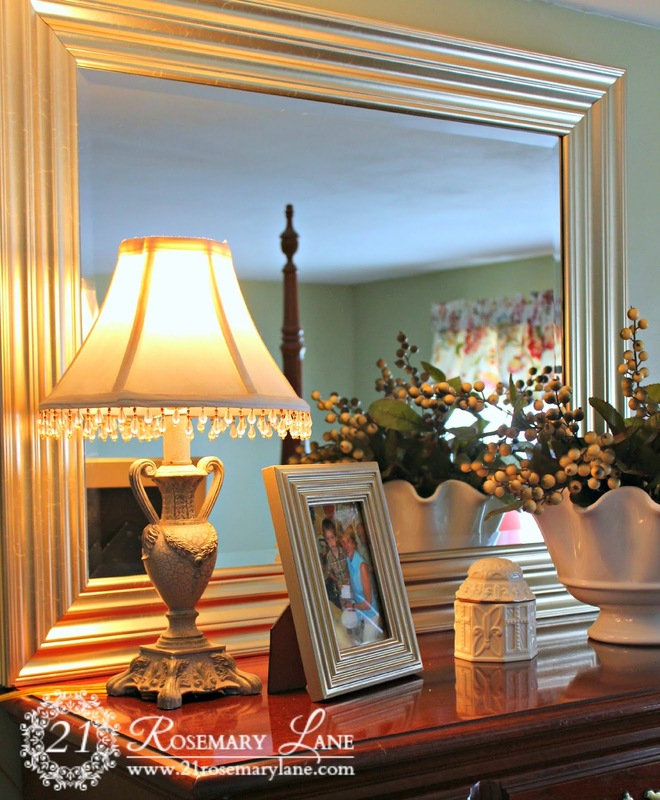 There are a few more ideas up my sleeve to help capture the feeling of the House Beautiful room. Hopefully if the weather is really nice this weekend as they are forecasting, I may be able to get more done with my redecorating! In the meantime wishing you all a wonderful weekend! LOVE the cards! I keeping saying I'm going to get some. Maybe I just will do that! Love the business cards = they are really cool. The bedroom is coming together very nicely and I like all your choices. Can hardly wait to see the end results. You are doing so well with this room and very much teasing us along the way!! I am so looking forward to the reveal! Now, will you tell us where you had the pretty cards done up at? And how do you use them? Hi Jane...I had the cards made up through Zazzle. They do a really nice job and their customer service was excellent. I just hand them out to anyone who I talk to about anything I blog about. I surely wish we had a Home Goods. Not one in the whole state of Oklahoma.